MABU worked with BTInet to develop a renewed branding and marketing strategy, based on the company’s targets and ambitions to serve more clients out of their area. 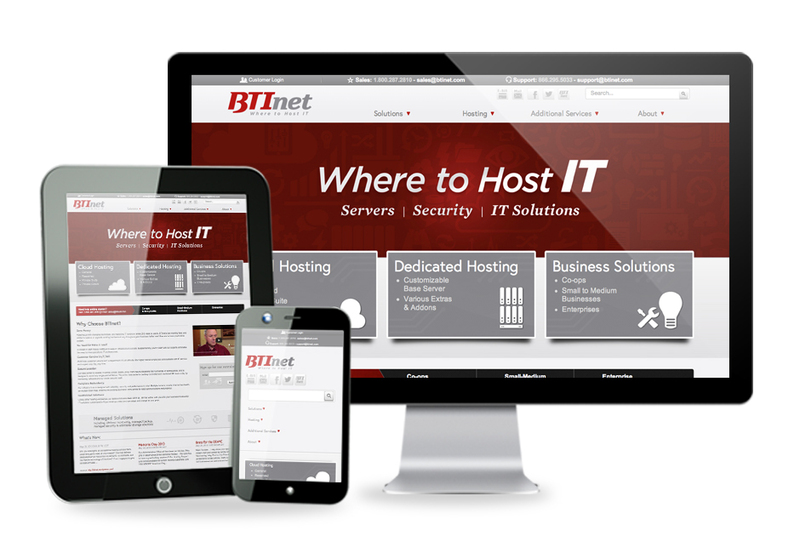 A website with a fully responsive interface, which arranges its dimensions based on the resolution of a visitor’s device (desktop, tablet, or mobile) would serve as the primary means for BTInet a broader scope of users. According to the strategic plan, MABU developed the new BTInet website. This asset features original graphics, an easily navigable setup, and pricing configurators for potential clients. The launch of www.btinet.com and the company’s new image was announced through a concerted marketing campaign, which included advertisement through press releases, print media, billboard displays, and radio & television commercials. The BTInet website has seen an average of 40 percent more daily page views and 20 percent more daily visitors since the site was launched in April 2013. BTInet Testimonial TV Ad – Hedahls Auto Plus from Agency MABU on Vimeo.